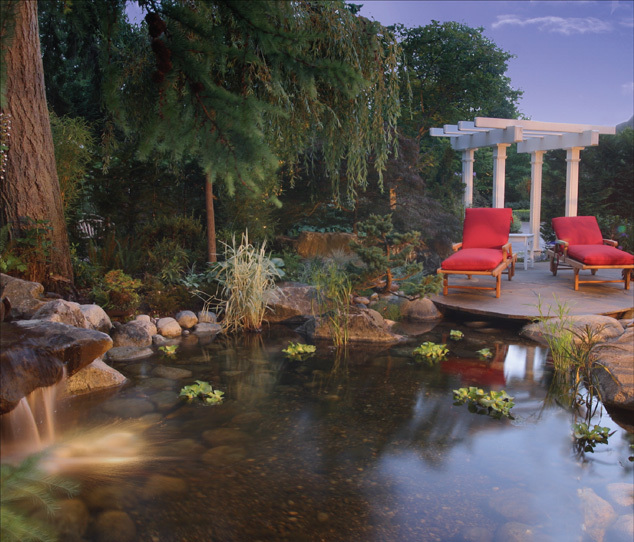 Whether designed as a landscape focal point or as an interactive water garden, the traditional pond provides natural tranquility and adds a sense of completeness to the landscape. In a traditional pond installation, the pond itself usually dominates the waterscape. 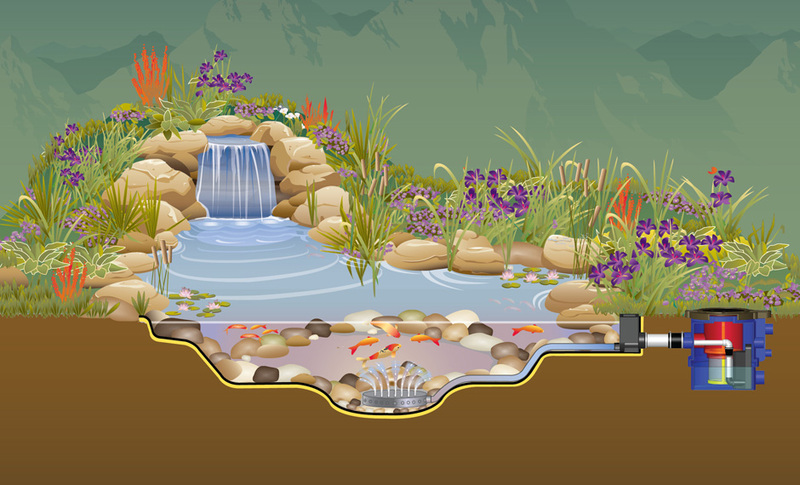 A waterfall provides a focal point as well as a continual oxygen source for the many biological process that are essential for a healthy pond. Additional circulation is often added to assure uniform water movement within the pond and to remove submerged debris. In a Hybri-Pond™ system, the stream water is stored underground in Filter and Expansion Tanks when the stream is turned off. This prevents pond overflow and allows for a smaller and easier to maintain pond. Enjoy the freedom to place the Filter Tank away from the water feature as best suits the landscape. With only the access cap showing, its small footprint is easily disguised and allows for more plantable area resulting in a more visually appealing waterscape. Accessing filters for routine maintenance is easy. Simply remove the access cap, lift out the filters, and empty the debris. If access to the pump or hardware is required, simply take off the two piece lid, remove the filter carriage, and enjoy full access to pumps and accessories.